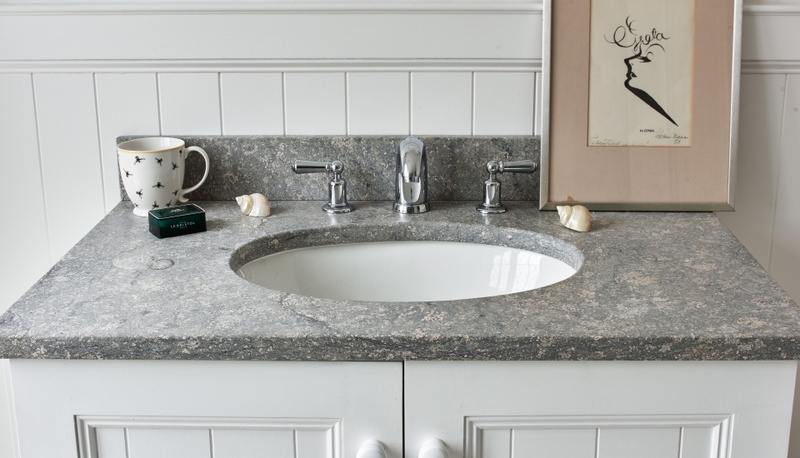 Careful analysis of conditions before selecting the perfect stone. 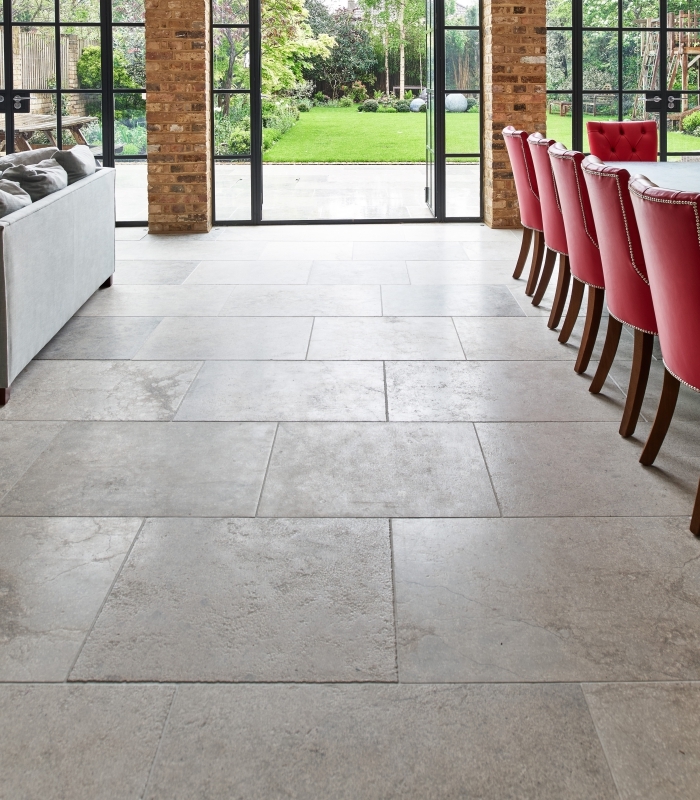 One of the key factors in this project was to create a coherent look across an indoor living space and the outdoor terraces. 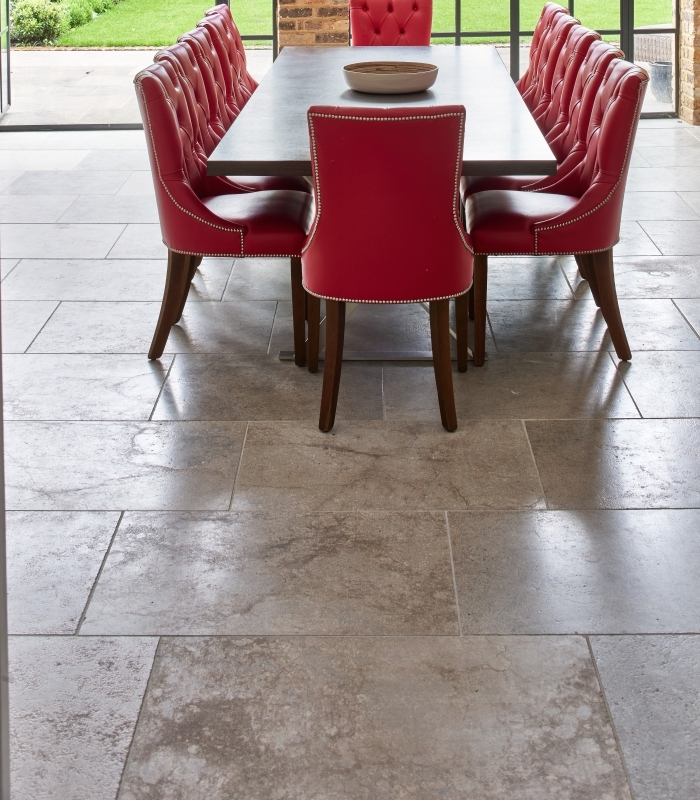 Selecting a stone that matched these demanding aesthetic and practical requirements meant careful analysis of the site and the conditions. 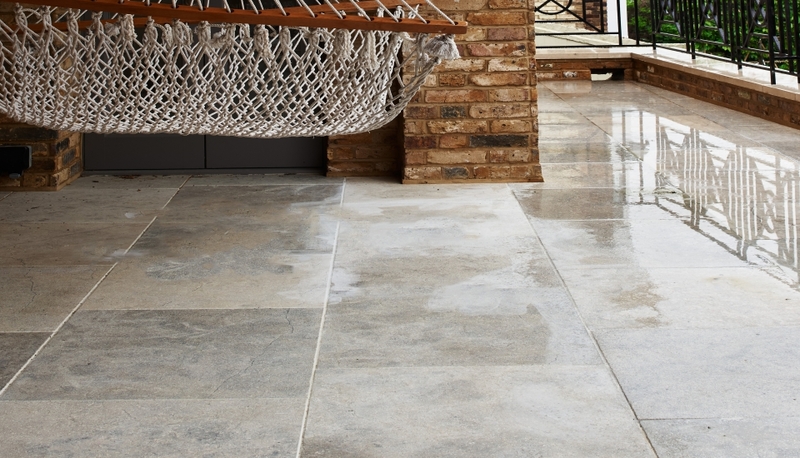 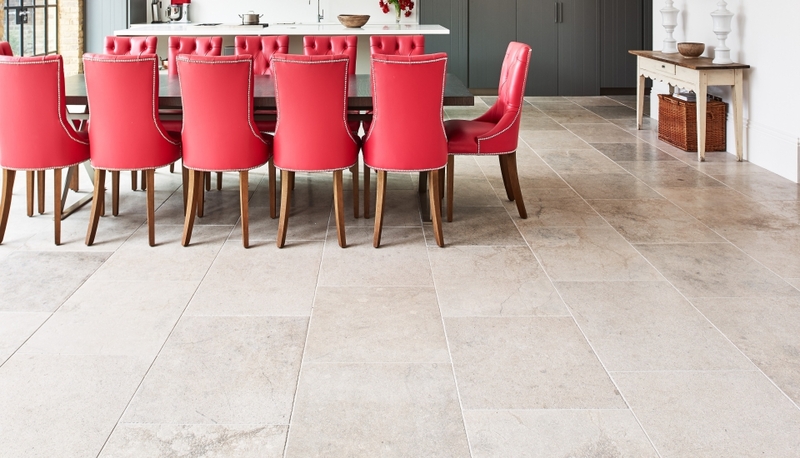 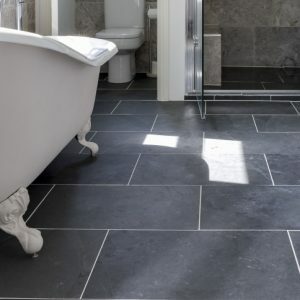 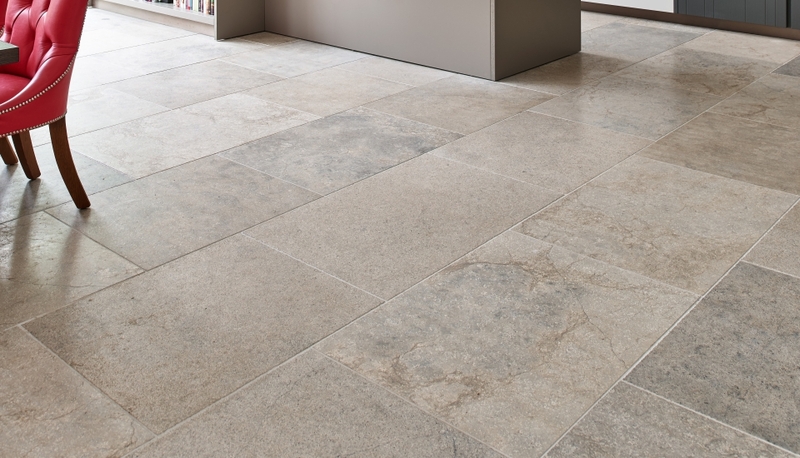 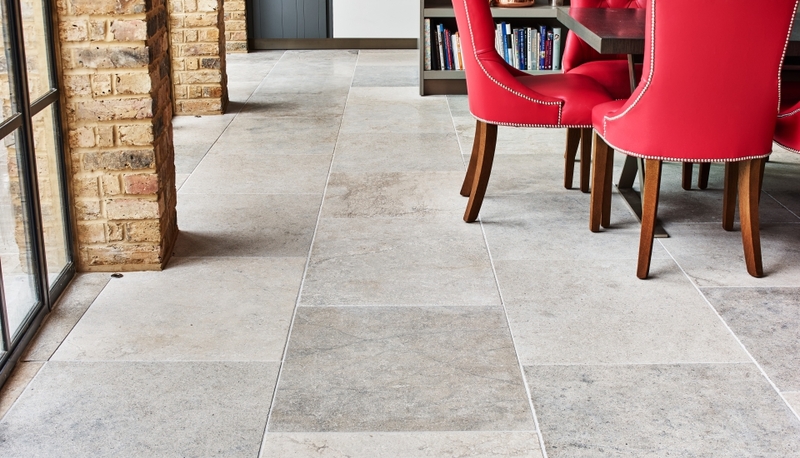 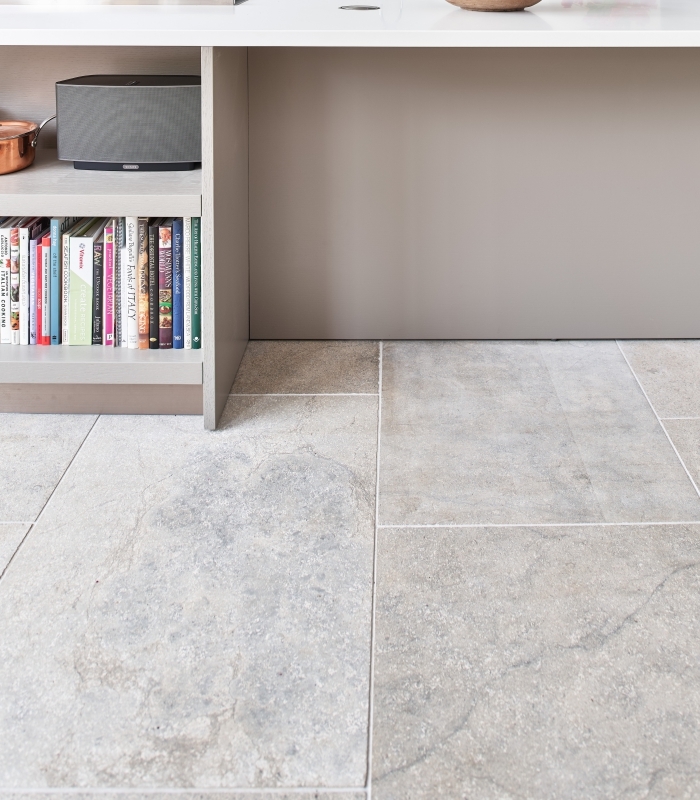 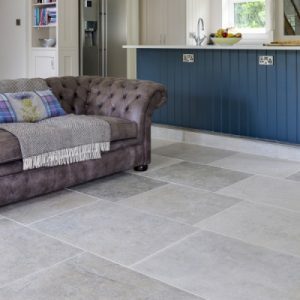 Bergerac is a limestone that is usually confined to indoors, but with the bespoke, proprietary Artisan Aged™ finish, and in an outdoors area not overly exposed to extremes of temperature, the stone proved sufficiently robust. 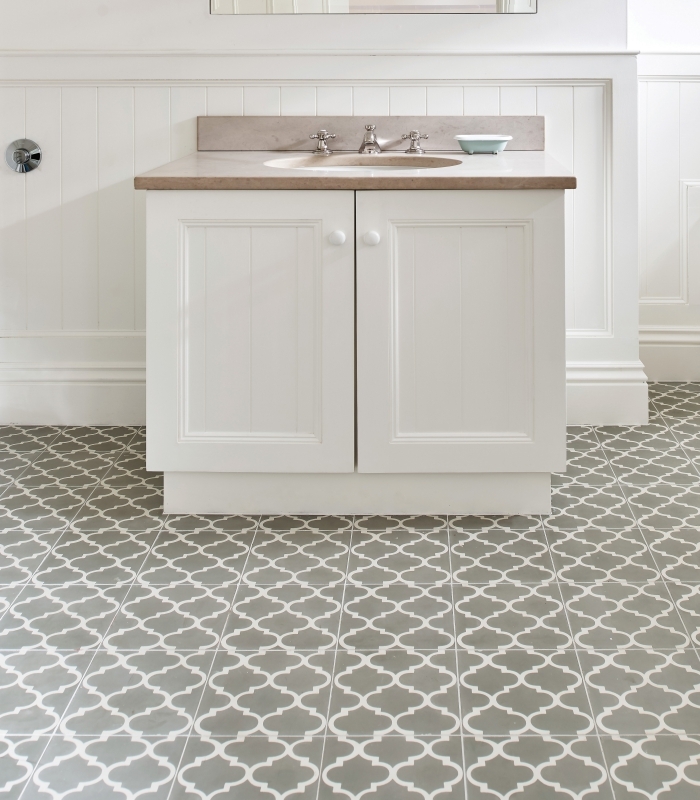 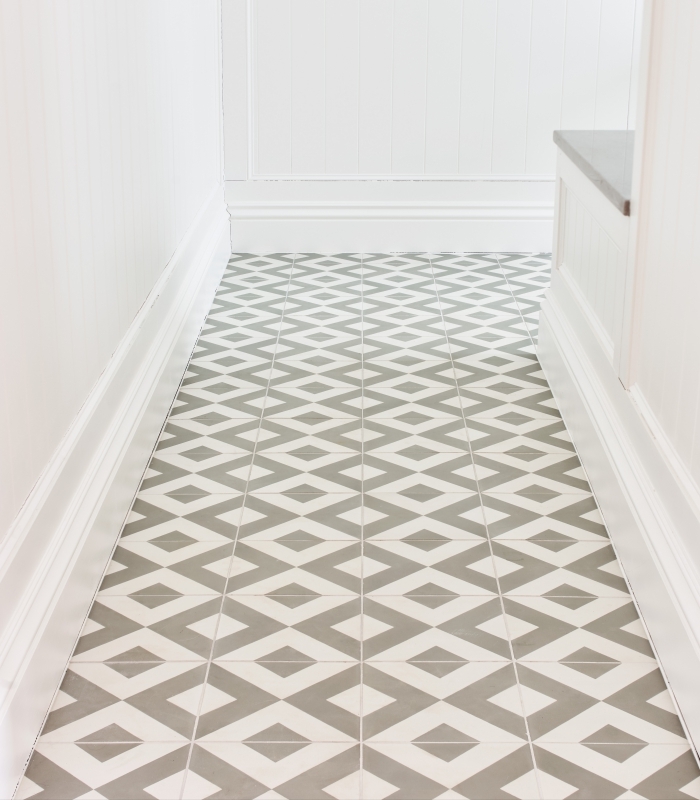 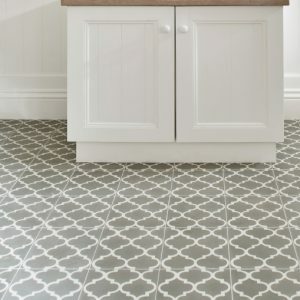 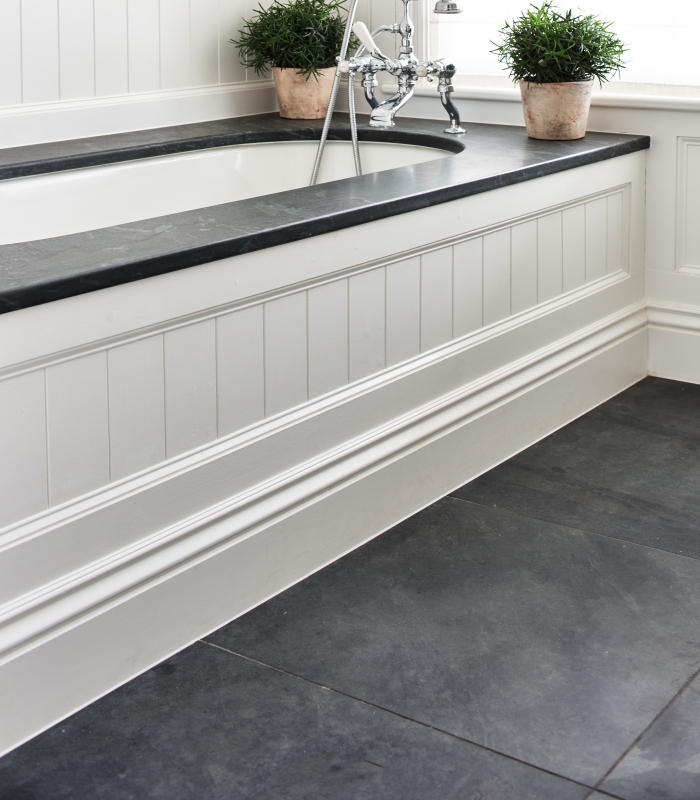 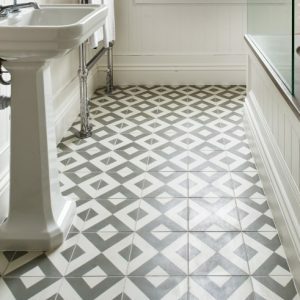 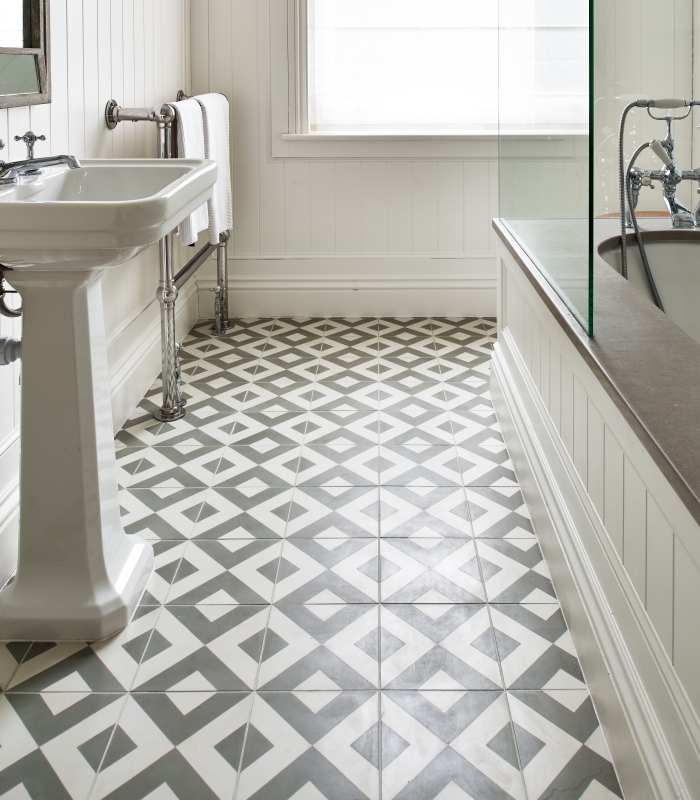 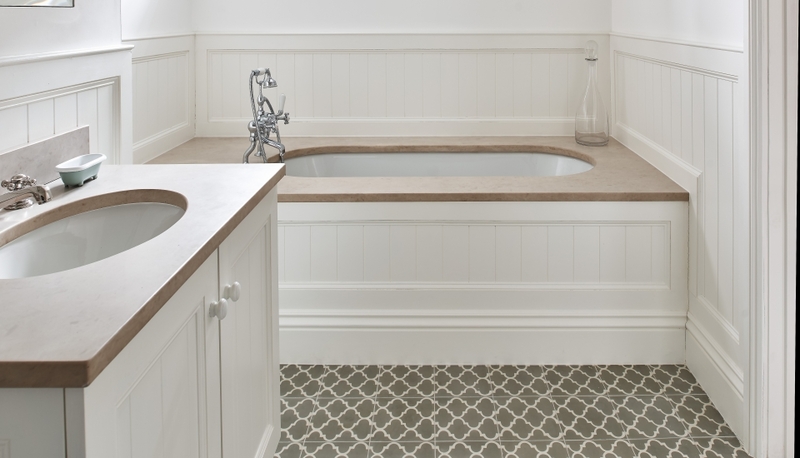 We also made bespoke bath surrounds and vanity tops and supplied Trellis and Modern Harlequin pattern real encaustic tiles.